We want to create a range name for cell F3. 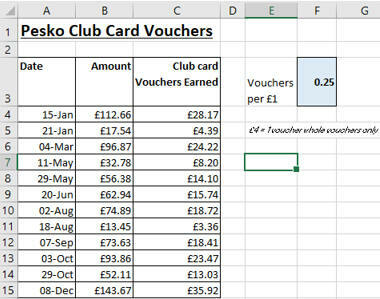 Create a range name for cell F3 so that you can use it later in a formula to calculate the club card vouchers earned. Don't forget to use your new range name for the vouchers per £1 figure. When you change the number in cell F3, the answers in column C should change.